Since the roof is one of the most important component on your home making sure it’s in good working order is a must. If your roof needs roof repair or even a new roof installed in Brighton Michigan you’ll want to find the best roofing contractor in Brighton Michigan which is Livingston Roof Pros. 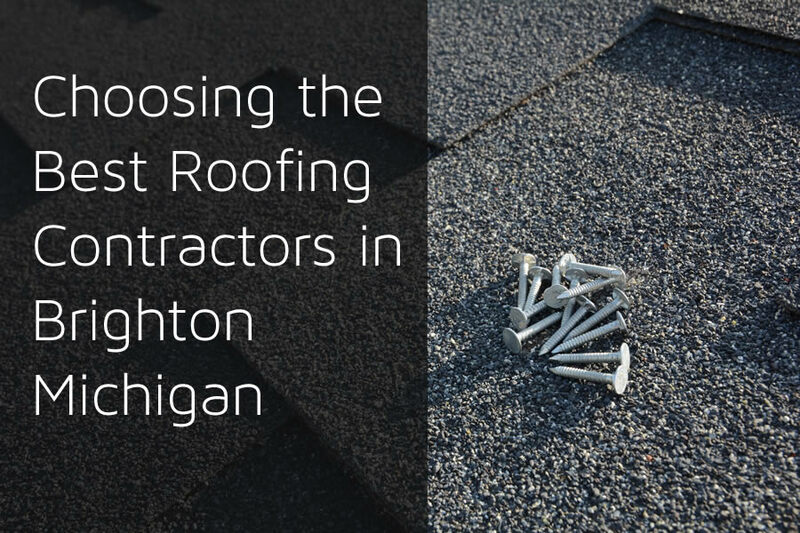 In this article we’ll provide more information on why we’re the best roofing contractor in Brighton Michigan and also some details on what you should look for when choosing a roofing company to work on your home. When the roof on your home has problems such as leaking it can cause lots of damage to the other areas of your home. Having a roofing contractor who can act fast and repair the roof quickly is a must. Having a roofing contractor that has roofing experts ready to assist you in the time of you need them such as with a roof leak can help prevent lots of damage to the interior of your home. At Livingston Roof Pros we have qualified roofing experts ready to assist you in Brighton Michigan. We also offer emergency service in the event of storm damage or other problems with your roof that happens during weekends or in the middle of the night. Knowing you’re protected like this can really help you gain some peace of mind if there is a problem with your home’s roof. We also offer emergency service in the event of storm damage or other problems with your roof that happens during weekends or in the middle of the night. Knowing you’re protected like this can really help you gain some peace of mind if there is a problem with your home’s roof. There are many so-called roofing contractors who aren’t more than a guy and a truck. Usually getting estimates from multiple roofing companies will allow you to get pricing for a roof repair or new roof installation in Brighton Michigan. Many times you’ll notice extremely low quotes compared with others. Sometimes these aren’t properly licensed contractors and that can be a huge problem. You basically open yourself up to all sorts of problems when not using licensed and certified contractors on your home’s roof. One of the biggest problems with using contractors who aren’t licensed and qualified is that improper installation of the roofing materials may void the warranty on your home’s roof. Most licensed and qualified roofing contractors in Brighton Michigan will be certified and know the manufacturer’s requirements for installing the roofing materials. They also won’t cut corners and leave items out that should be included such as underlayment or insulation in some cases. During times when the area gets struck by storms or other problems there are usually lots of contractors that will come to the area looking for work. Although these contractors may be licensed and qualified to do the roof repair or roof installation it can lead to problems later. Choosing a local roofing contractor in Brighton Michigan such as Livingston Roof Pros means we’ll be here if something goes wrong later. We’ve been part of this community for decades and will continue to help with roofing repairs and roof installation in Brighton Michigan. Roofing systems don’t change much, but they do change from time to time. Newer products come out that are more advanced and higher quality for a variety of reasons. Having a roofing contractor in Brighton Michigan that has experience can certainly help in a variety of ways. They know the problems that can arise when things are done a certain way and also some things you should avoid. At Livingston Roof Pros our team of roofing experts have decades of experience and are qualified with the newest materials that are now available. Want more information about getting your roof repaired in Brighton Michigan or getting a new roof installed in Brighton Michigan? Be sure to call Livingston Roof Pros today to get a free estimate on your roofing project. We are a fully licensed and qualified roofing contractor in Brighton Michigan ready to help!